Ballysillan Avenue is located very close to Belfast City Centre with plenty of shops, a doctor surgery and numerous bus links to Belfast and beyond within a short walk away. This house is spacious with a bright modern kitchen and living room. Accommodation is generous with 3 good sized bedrooms and a bathroom with shower. 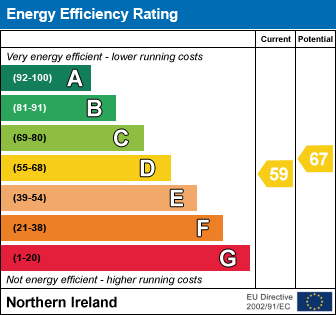 With Upvc windows and Gas central heating, it is energy efficient and running costs will be at a minimum. Freshly redecorated in neutral colours throughout and newly laid flooring, this property will attract instant interest. Early viewing is recommended. I am interested in 45 Ballysillan Avenue, Belfast. Please contact me about this property.